Here’s the next in my 9-email series with tips for you about major gift fundraising. 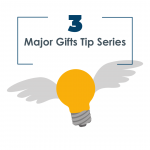 Today, we’re focusing on where to find new major gift prospects this year. Question for you: do you want to raise major gifts, but feel like you don’t have enough major gift prospects? Where to look? How to find them? There are actually lots of sleeper major gift prospects right under your nose. I’ll be focusing extensively on major gift prospecting with my Major Gift Coaching group this year. 1. Thank you calls to all donors. 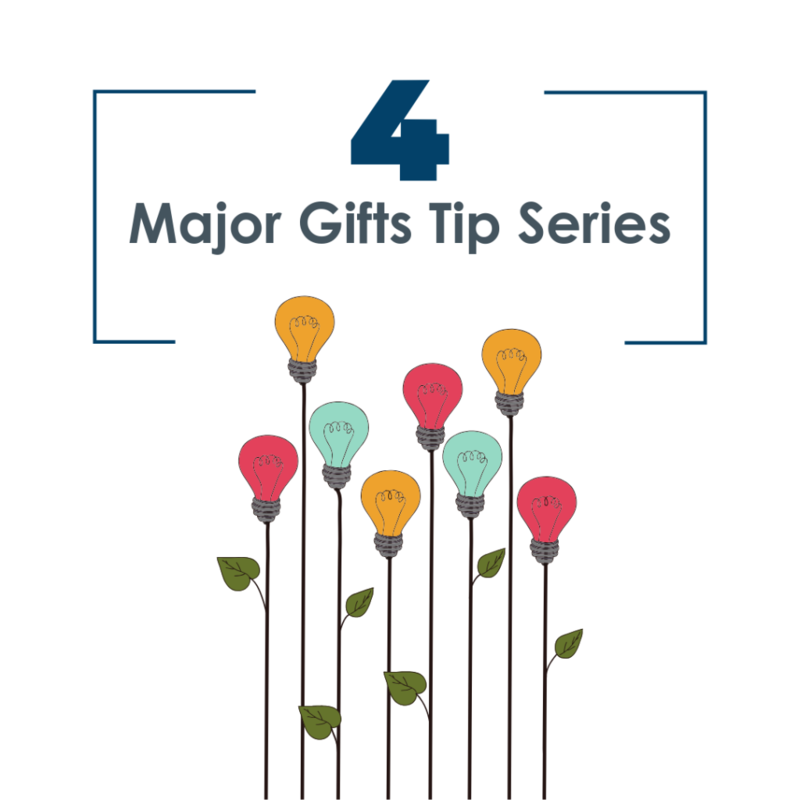 Many smaller donors are actually major gift prospects. They just may be making large gifts to other organizations, but you don’t know about their generosity. “The best prospecting and qualifying you’ll ever do is free, and it happens right at the beginning. Burk says that many potential major donors come into the system at the bottom, and as soon as they do, someone of influence, like a board member, should call them. Burk says that you don’t have to go looking outside your annual fund donors for the serious “major donors.” They’re right in the annual fund, but they haven’t been cultivated. And, of course, the best way to cultivate someone is actually saying thank you, not asking for money. Just about every nonprofit has some former mega donors who have lost touch. Perhaps they were major donors to a past capital campaign. Or maybe they helped found your organization but drifted away. It can be scary to try to reach out to someone – a VIP donor – someone you don’t know, and who may be unhappy that they haven’t heard from your organization in a long time. Put yourself in your former donor’s shoes. They might be really, really glad to get an update on the impact they made with their gift. Here’s what you do. You approach them for a thank you and update visit. Tell them how sorry you are that no one has been in touch. 3. Board members’ contacts – try a porch party! Board members sometimes are quite reluctant to open the doors to their contacts. Why? Because they don’t want to take advantage of their friendships. Why not ask some board members to host a Porch Party and invite their friends to meet you? Your board members should not feel like they’re being pushy with their friends, because the friends who ARE interested will come and the friends who are not interested won’t come. Your objective is to meet new people, work the room, and discover who wants to learn more. There is no ask at this event – it is a meet and greet social only. You can have a short informational program of no longer than 15 minutes. You can ask guests to fill out a “follow-up card” and indicate whether they’d like to get more involved. Many major gifts come from donors who have already made a significant gift in the past. Consider especially those who have more capacity and have the potential for much more investment. You probably know who they are, and what they can do. Be sure to develop systematic cultivation programs for them to help them understand the impact they’ve made with their first gift. Remember, the first gift is – hopefully – not the largest! 5. Smaller donors who’s giving suddenly jumps. You just might discover a sleeper major donor right on the phone. 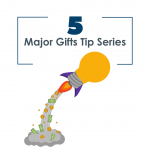 Bottom line: Look close to home for your major gift prospects. They may be right under your nose! If you and your team would like our help getting new prospects identified and under cultivation, consider joining Major Gift Coaching.